Ash looks so old and as adorable as ever! 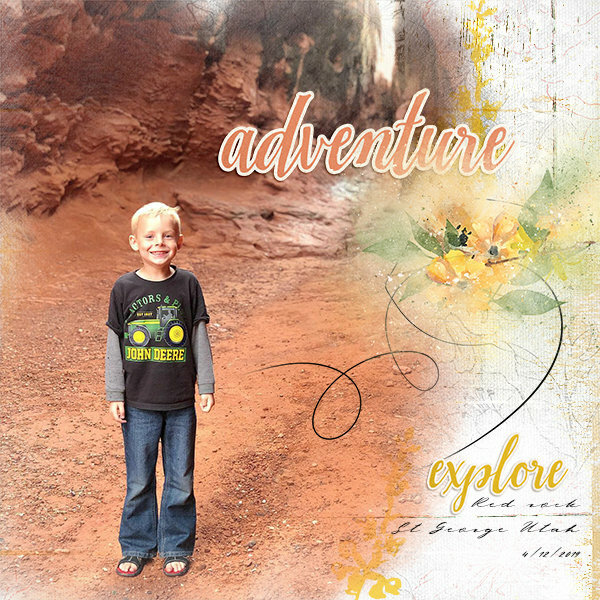 Sweet photo and I love your blending and title and word art! Love the play off the colors of the John Deere tractor shirt (I noticed this because their nat'l headquarters aren't far from where I live). The brownish red sand is great against the background.